Since wedding bells are ringing in my family and being the last cousin wedding, I am preparing a list of must-haves for the day. Silk saree is at the top of my list as it is going to be an all-time purchase. Fashion goes on trend and off trend but silk Sarees are always in trend. 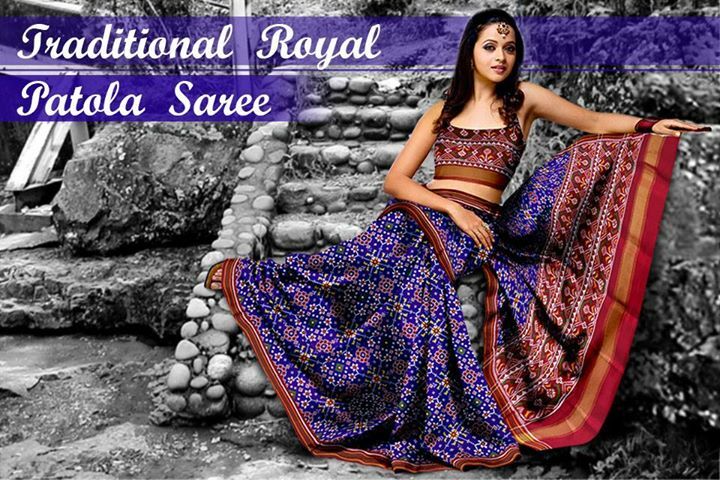 These sarees are prized possessions which are transferred from one generation to another. Almost every state of India has their own speciality in silk saree production. Let us go through the most discussed and celebrated silk saree tradition of our country. Gujarati Bandhej on Gaji Silk will always hold a special position in my life. In Gujarat, every married woman owns this saree which is a symbol of being happily married. I have myself preferred to wear a Magenta Bandhej on Gaji Silk on my big day. It has a trendy look. It is perfect to wear in parties and special events too. Bandhani Buti makes it really stunning with gold brocade “Pattas”. Who would not have heard about Banarasi Silk Saree? Fine Silk and Gold Brocade makes it stand out among all. Heavy Pallu and heavy gold brocades are the typical identities of Banarasi Silk Saree. A most expensive form of traditional saree of India comes from Patan, Gujarat. The intrinsic woven designs which are very clear in shapes of parrots, elephants, flowers and other figures. Once I asked the rate of the most beautiful saree I ever saw and the starting price was from 1.5 lakhs rupees. It is like a family heritage transferred from mother to daughter or daughter in law. One of my to-purchase list Chanderi Silk Black Saree. It comes from Chanderi, Madhya Pradesh. It has very soft silk material with beautiful designs of peacock, temples, flowers and geometric designs. Tussar silk sarees are from Bengal and some say its origin is Bihar, but easily available across India. The other name for Tussar Silk is Bhagalpuri Silk Saree. Its vibrant colours and soft material makes it a go-to party ensemble. It is not so costly and a must have in all trendy women’s wardrobe. The name suggests that this type of saree is made from raw silk. It is basically unprocessed silk. So, it is a bit less shiny. It is light in weight and easy to carry. Just beautiful draping of saree and good temple jewellery can make you shine through the entire event. Kanjeevaram Silk Sarees are mostly adored by Rekhaji and Vidya Balan on various occasions. Almost every woman knows about this form of silk saree. It is also known as Kanchipuram sarees as it comes from the place called Kanchipuram located in Tamilnadu. Vibrant colours, gold silver borders makes it just beautiful. There are many other forms of silk sarees across India. Having these sarees in wardrobe is like getting a piece of land for your family and building an evergreen collection, which is always a go-to escape for your daughter or daughter in law.